In the Old West, Texas lawmen relied on campfires to keep warm when they hit the trail in search of suspects on the lam. We’re fortunate to live in an age where taking care of our heating needs is much less complicated. Plus, we have plenty of reliable, efficient and affordable options. One very smart option is a furnace. Sure, it’s been around since 1885, but that means it’s time-tested. What’s more, it’s been transformed over the years to tackle the heating needs of any modern family or business—with ease and in a way that is gentle on your budget. At Texas Air Authorities, we have a herd of these powerful workhorses in our stable. Our trusty technicians will size up your indoor space and your heating needs—then trot out the reliable unit that’s just right for you. When you go horseback riding, it’s important to match the skill of the rider with the power and speed of the horse. It’s equally important to choose the right furnace for your home or business. When a system is too small or too big, it can be inefficient, costly to operate and more likely to need repair or—worse yet—replacement. At Texas Air Authorities, we’ll pair you up with a home heating companion sure to serve your needs faithfully for a long, long time. Our installation skills are second to none, and we’ll provide you with the confidence and training you need to handle your unit with confidence and ease. If you’re interested in a natural gas or alternative fuel solution, a furnace might be the answer for you. 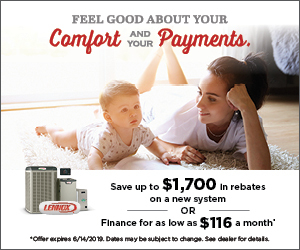 Many modern furnaces incorporate an air conditioning component to provide both heating and cooling. Furnaces are a money-saving option, and natural gas is an environmentally friendly fuel. 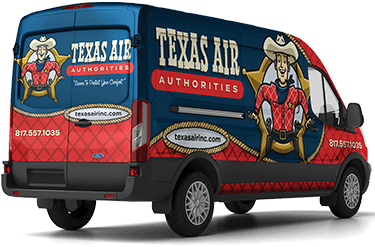 If you should run into a problem, gallop on over to Texas Air Authorities where our talented team can handle any furnace repair or furnace replacement. We’ve got more than two decades of experience and the know-how to fix any make, model (or breed) of furnace. When we tell you it can’t be fixed and needs to be replaced, you can believe it. At Texas Air Authorities, we’re sworn to tell the truth because it’s in your best interest—and ours. Giddy up! Let’s take this journey together. When we reach our destination, you’ll have the dependable, efficient and affordable furnace to meet all of your heating needs. Us? We’ll have the biggest, widest grins on our faces, pleased that we could protect and serve your comfort needs. To learn more, simply fill out our online form or call us at 817-402-3576.